An extra-large medal, 2 3/4" in size, featuring an exciting star design and a jumbo-sized full-color emblem in the middle. 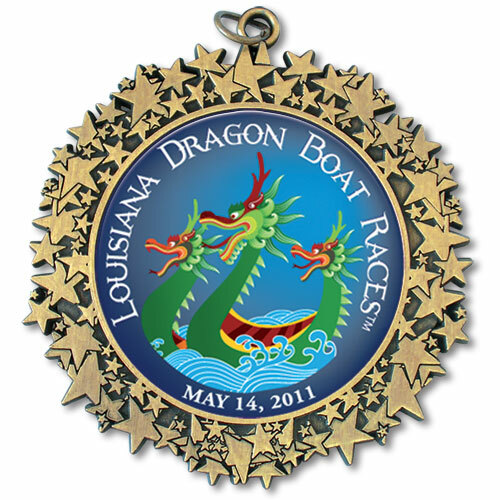 Our art department is available to help you design your new medals. An epoxy dome is included with your custom emblem. Optional engraving: $3.00(V) per line.